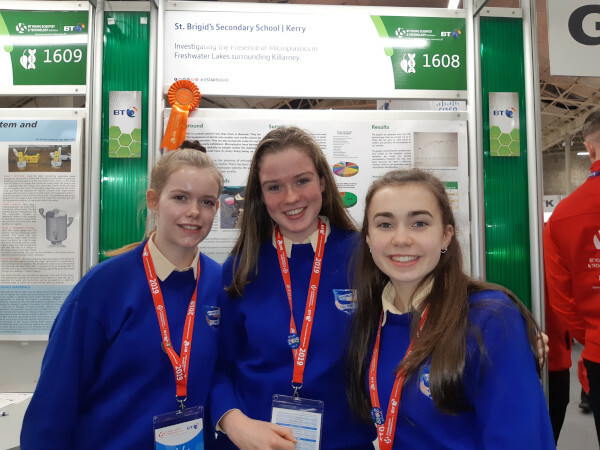 Our students, Niamh Coffey Abby O Leary & Claire Joy are delighted to come back from the BT Young Scientist with the Display award. During the project, 85 litres of lake water was filtered from 7 lakes in Killarney National Park. Their experiment found that 6 out of the 7 lakes contained at least one form of microplastic. 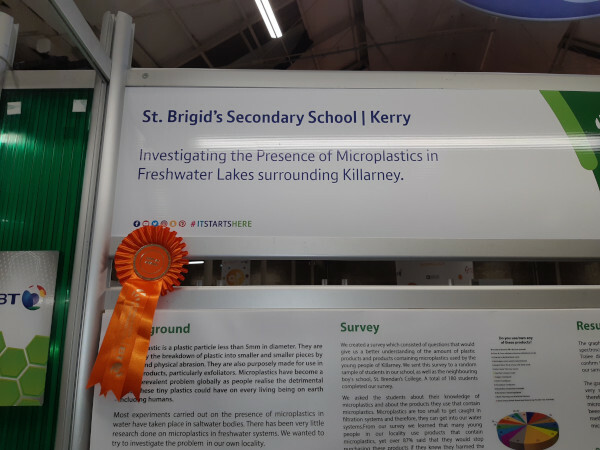 Congratulations to the girls and to the science department on their work.